edited since 2002 at the West University of Timişoara (UVT). Paolo Ruspini (PhD, Milan) is Senior researcher at the Faculty of Communication Sciences of the University of Lugano (USI) since February 2008 as well as Associate Fellow at the Centre for Research in Ethnic Relations (CRER) of the University of Warwick since March 2001. A political scientist, he has been researching issues of international and European migration and integration since 1997. Dr Ruspini uses a comparative approach to migration with frequent policy and qualitative analyses. He is an active member of some of the most important European research networks regarding international migration and social cohesion as well as being advisor for national and international institutions. He combines research activities with routine lectures in a number of universities and international institutions. Besides a significant number of papers which he contributed to international conferences, he is also the author of various publications on migration. South-Eastern Europe and the European Migration System. The electronic papers are largely distributed on open access web directories / libraries such MPRA, RePEc, SSRN or Archive of European Integration (AEI), for a wider dissemination of the scientific information. The authors are encouraged to freely post the papers on personal / professional / institutional webpage(s). Printed copies are sent to major university libraries and research centres in the region and from European Union, Japan and USA. 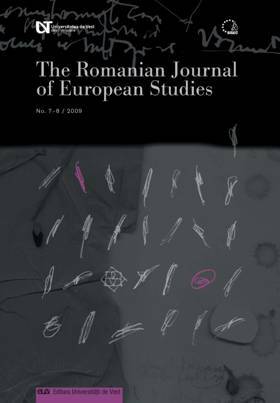 For more information about printed copies, please contact the publishing house of The West University of Timişoara (UVT) and/or the Eugen Todoran Central University Library of UVT. 4, Bvd. Vasile Pârvan, 300223 Timişoara, Timiş, România, Phone: +40-256-592.395, Phone/Fax +40-256-592.253.